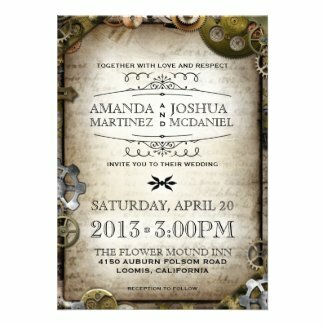 Part vintage victorian, part science fiction, steampunk is a very fun wedding theme for those who love those genre. 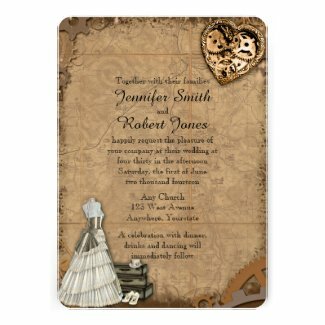 We make it easy for you to find Steampunk themed wedding invitations and favors to make your wedding day very special and very unique! 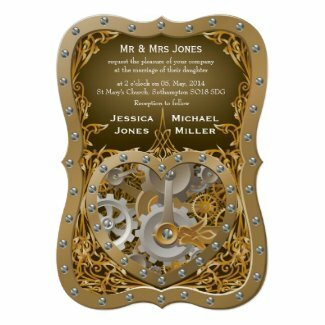 Each design comes with many choices for paper styles and types - click on a design to see all the options. 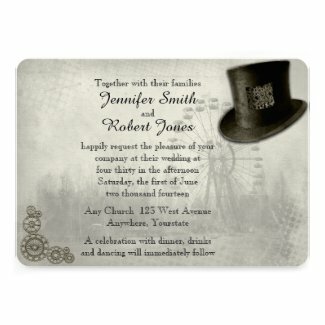 And don't forget to check on our discount coupon code page for the latest in available discounts.